Like soldering process, desoldering is equally a skillful task and require lots of patience and precision to achieve the desired result. Desoldering is permanently removing the solder and soldered components from the joined material such as a printed circuit board etc. Desoldering Iron/ Pumps or solder suckers are very inexpensive, and you would find them all over the internet even for less than 10 dollars. 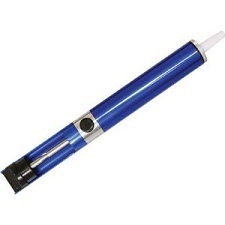 Desoldering irons are also called as solder removers. We decided to review plenty of them and shortlist few of the best solder suckers which you can bank upon and buy for your use. This tool is one of the best desoldering devices for using with printed circuit board.Paladin 1700 is sturdy and has a non-plastic body and extremely simple to operate (push button based). Coated in blue, this tiny solder removal tool looks beautiful and works like a charm! Priced cheaply, you can’t go wrong with this one. 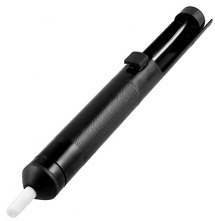 This tool is easy-to-use, and push button operated. Being a very inexpensive device, it performs well in heavy duty jobs as well. It comes with automatic nozzle cleaner. Amico again, now with black color! This cheap (price wise not quality wise) solder sucker surprises you with the value for money factor. 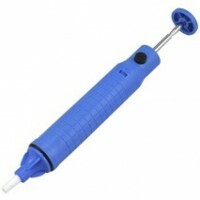 Use it for any desoldering jobs with ease of usage very similar to any other desolder pumps out there. ECG is expensive of the lot that we are reviewing in this post. However, there is a good reason for it. This desolders iron runs with AC power, unlike other ones who depend on soldering iron for heating the joint.